This year, I am what’s called a NaNo rebel. We are the writers who are following a somewhat different path. The conventional wisdom of NaNoWriMo states that you must begin a new novel from scratch. Rebels write nonfiction, memoirs, a book of poetry, or work on an existing project. I decided to use the time to finish “The Wayward Way,” the second book in my Crossroads series. I’m not editing. It’s all new material and will hopefully come to at least 50K words by the end of November. A writer friend who is also working on an existing project spoke these words of wisdom: “Writers weren’t created for NaNoWriMo. NaNoWriMo was created for writers.” Use the time and momentum in a way that suits you best. If you need encouragement or want to be in creative atmosphere with crazy, fun people, go to a write-in. If you’ve joined the competition, write-ins should be listed in calendar for your region. Struggling with the idea of writing a book in 30 days? Here are a couple of guides that could help you. One is free today, and I’m not certain of its quality. The other, “No Plot? 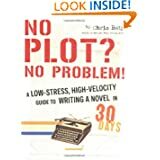 No Problem!” is the definitive guide to NaNoWriMo by the event’s creator, Chris Baty. It costs $8.69 for the Kindle and I highly recommend it. Here is what you will learn in this guide: Key Number 1: The way to write a book quickly is to break the process down into a “paint-by-numbers” system. Once you are able to break the project down into small manageable chunks and map out a paint-by-numbers system, the actual writing process becomes easy. Key Number 2: The way to write a book quickly is to write a book quickly. Momentum is a powerful tool in getting your book project completed. Chris Baty, motivator extraordinaire and instigator of a wildly successful writing revolution, spells out the secrets of writing — and finishing — a novel. Every fall, thousands of people sign up for National Novel Writing Month (NaNoWriMo), which Baty founded, determined to (a) write that novel or (b) finish that novel in — kid you not — 30 days. Now Baty puts pen to paper himself to share the secrets of success. With week-specific overviews, pep “talks,” and essential survival tips for today’s word warriors, this results-oriented, quick-fix strategy is perfect for people who want to nurture their inner artist and then hit print! I also wanted to add a few more freebies I found today. One, a guide to fashion poses, could be useful to writers when trying to figure out the mechanics of the human body. While many of poses are contrived, some are natural and could be useful when trying to describe a character’s pose. The eBook is better viewed on a tablet or a computer. I also added a fun recipe book on the drinks of James Bond. For those of you not participating in NaNoWriMo and just want something good to read, I included a five book series of historical fiction. Enjoy! 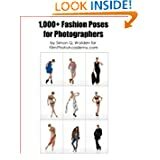 1000+ Fashion Poses for Photographers is the definitive guide to posing. The guide covers clothes from suits to swimwear and styles from casual to elegant. Each type of clothing and style is illustrated with full colour photographs. Altogether there are over 1,000 different poses suitable for any type of clothing or context. After studying this guide you will be able to confidently pose models and members of the public to great poses. You will be more professional and make the most of your time during any shoot. “The Complete Guide to the Drinks of James Bond” takes a comprehensive look at the drinks consumed by 007 in both Ian Fleming’s novels and the Eon movies. 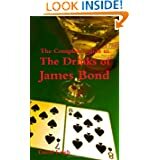 In this new expanded edition you’ll find details of everything James Bond drinks, whether cocktails, Champagne or even beer, which 007 certainly did drink on occasion in the books and that Skyfall is not the first film in which he drinks beer. This entry was posted in Free eBooks, Kindle Bargains and Freebies, Writing and tagged Books, Fiction, Free, James Bond, Kindle, NaNoWriMo, National Novel Writing Month, Recipes, Writing by Lori Saltis. Bookmark the permalink.